Something had to give on this saga. Markelle Fultz broken shot has been labeled alternately as an injury, the yips or a psychological issue. 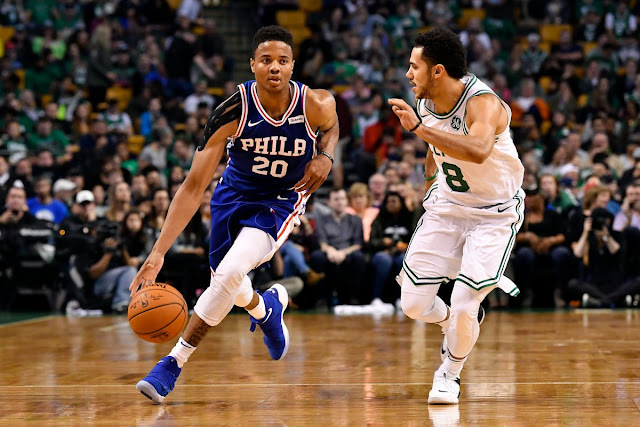 In previous articles I have supported the injury theory, and now Markelle Fultz may be headed to a shoulder specialist and will not play or practice until that is done. Raymond Brothers, the attorney named in the tweet, is also the agent for Fultz. Look for updates. This Fultz/broken shot issue has been one of the most bizarre things I have witnessed in the NBA in decades. Markelle and Drew Hanlen, his shooting coach, parted ways a short while ago. I suspect some mishandling of Fultz and his issue by some yet-to-be-determined individual or organization. Expect some possible legal action in the near future, and a possible move for Fultz. He needs it.